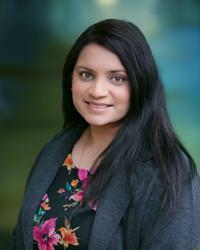 Roshni joined Grant Harrod Parkinson after graduating in Accounting and Statistics in 2009, going on to gain a wide variety of audit and non-audit experience across a range of different business sectors. Having worked closely with Harry Grant for a number of years, Roshni has adopted his ‘hands-on approach’ in managing a varied portfolio. She is a useful and patient leader of junior staff, ensuring that they gain an understanding of their work and the importance of client service. Rising through the ranks, Roshni has been a manager within GHLD for a number of years before her promotion to partner in 2018. She is interested in many sports, particularly football and also enjoys traveling.